Imagine being surrounded by thousands of flowers hanging from the sky. This is one of my favorite artworks by Teamlab – an artist collaborative, interdisciplinary creative group. This art concept is similar to Japanese Zen gardens which was meant as a place for Zen priests to carry out training to become one with nature. It is a microcosm of the vastness of the surrounding nature. 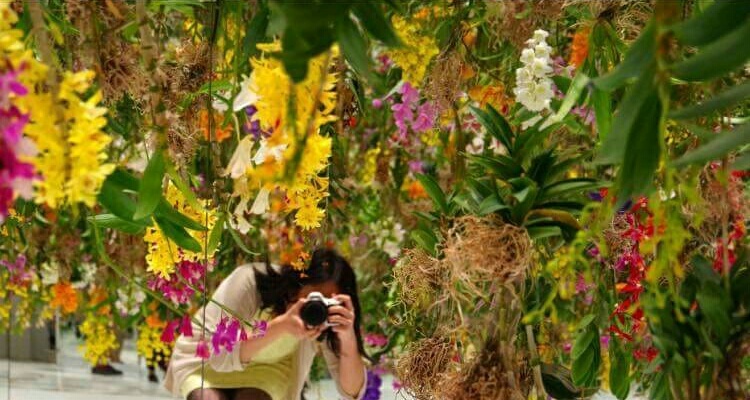 These fresh living flowers move up and down, interacting with visitors in the space. You can smell them and be in oneness with them. Previous Why chocolate can’t look like cheese?